A brilliant fusion of facts and fiction to inspire young manga addicts! 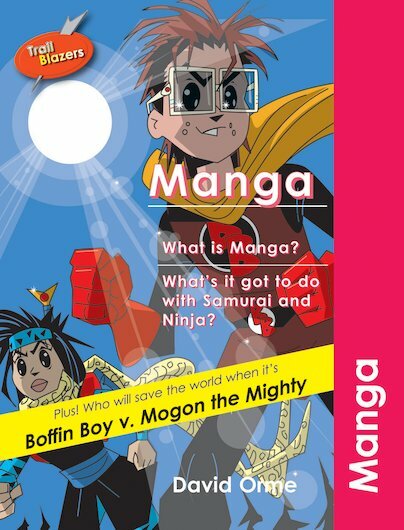 Find out all about the history and conventions of manga – and read an awesome comic-strip story where Boffin Boy takes on Mogon the Mighty! Perfect for shared and paired reading, this dynamic and colourful book combines short sentences, a carefully limited vocabulary and speech bubbles with lots of illustrations, quick facts and a manga glossary. Enthuse struggling readers and give them a chance to shine with Trailblazers!